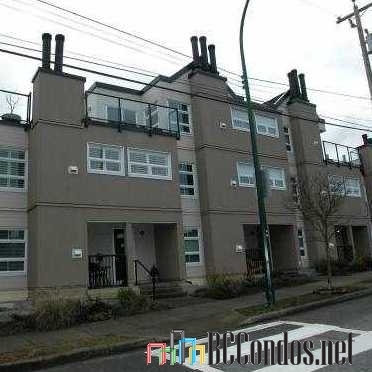 Pepper Ridge at 1350 West 6th Avenue, Vancouver, BC V6H 1A7 - VAS1991. 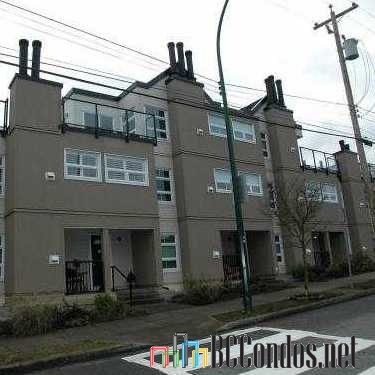 Located in Fairview area of Vancouver West, near the intersection of West 6th Avenue and West 4th Avenue. 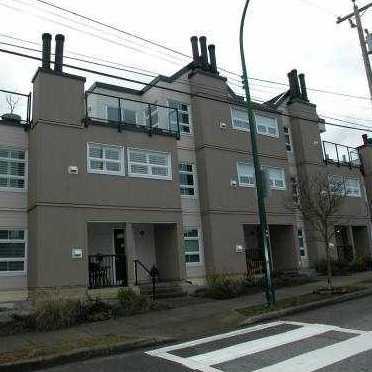 Pepper Ridge is a townhouse complex that offers 33 units over 3 levels and was built in 1987. Complex features include elevator, in-suite laundry and storage. 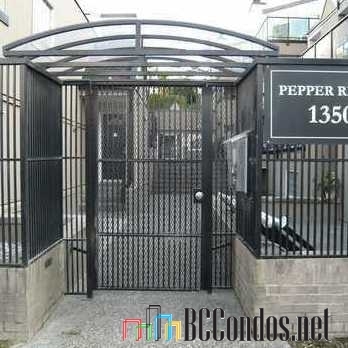 Pepper Ridge is fabulously situated, easy walk to Granville Island, the seawall, shops, False Creek and downtown. Steps to Granville Loop Park, Sutcliffe Park, Choklit Park, Charleson Park, George Wainborn Park and Willow Park. A short walk away from Boston Pizza, Paul's Place, Cheesecake Etc, Portobello Restaurant, CRU Restaurant, Denny's, Memphis Blues Barbeque House, Lin Chinese Cuisine and Cactus Club Cafe. Just few minutes to BC Public School Employers' Association, Pacific Coast Community College/B C Resident Care Aid, Vancouver Hairdressing Academy, International House Vancouver, Carousel Theatre for Young People, Montessori Family School Society, Pacific Institute Of Culinary Arts and Emily Carr University of Art + Design. 9 1350 W 6TH AVENUE 1 Bed, 1 Bath,817 Sqft. 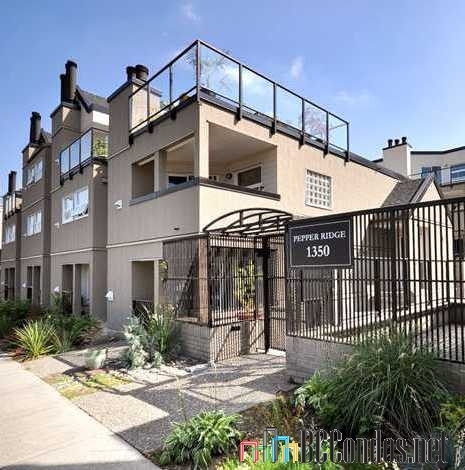 $708,800 Oakwyn Realty Ltd.
205 1355 W 4TH AVE.. 1 Bed, 1 Bath,760 Sqft. 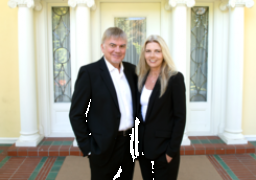 $615,000 Oakwyn Realty Ltd.